By the by, you’ll notice my pictures look different to the usual ones. This is because the texture pack I favour hasn’t yet been updated with the new items (fish and leather for example) so I’m using the default one until an update is released. 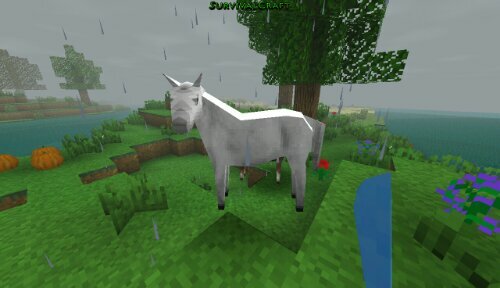 ← Meanwhile, in Survivalcraft 1.21… Big water, camels & a bloody piranha! 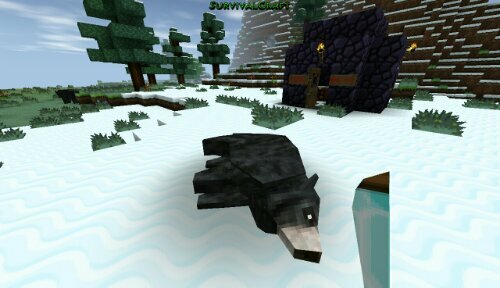 The non-blocky animals do look sort of weird… looks like fun, though! The iOS version will be out soon so you can try it for yourself. I like the new critters, but have to say I do like the old blocky look more… it’s just cuter 🙂 Still, the new playmobil look is good and helps move the game a little further from MCPE. Is this pack out yet??? I love the horses. Making a zoo in creative- it’s gonna take a while for me to get back to challenging. It always does after a big update.